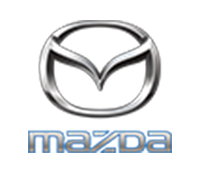 Eastvaal Motors Secunda Mazda is one of the mainstays of the group. The branch operates the Ford and Mazda franchise from the group’s premises in Secunda. We now operate out of a state of the art facility that complies to the Ford and Mazda Corporate Identity specifications. We strive to be the best Motor Dealership in our area of responsibility and pride ourselves by delivering excellent service in sales, parts and after sales departments to you our customer. We value our customers and look forward to being of service to you and making a meaningful difference.